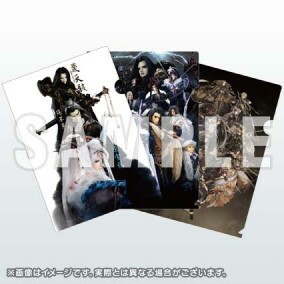 File-folder set featuring images from Thunderbolt Fantasy: Sword Seekers! From the hit heroic-fantasy puppet drama that was just green-lit for a second season, we present this set of file folders featuring Thunderbolt Fantasy: Sword Seekers imagery! Each set includes the key visual, main visual, and battle-scene illustration, for a total of 3 folders.